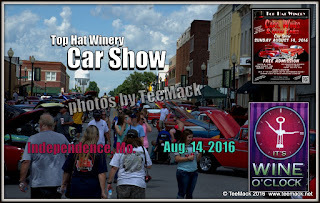 The Top Hat Winery in Independence, Missouri hosted a Car show on Aug. 14, 2016. 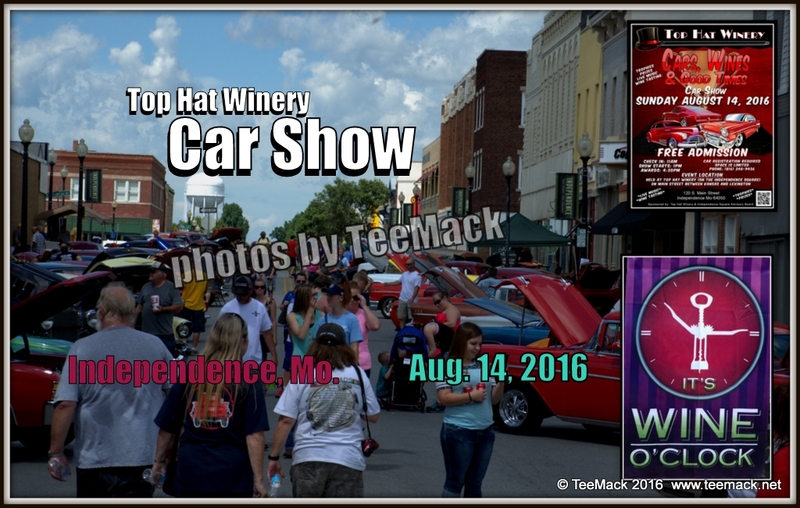 The car show was held just off the historic town square in Independence. Approximately 100 cars attended the event. There was also Wine tasting and live music. Click here to view individual photos or to purchase high quality prints. Great picture of our 69 barracuda Tee! Now if you could photo-shop my face out of it, it would be perfect.